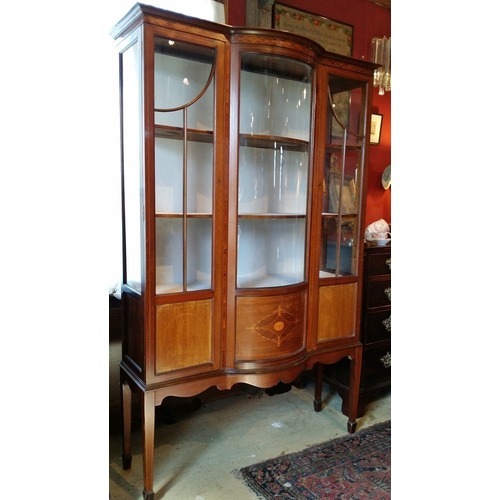 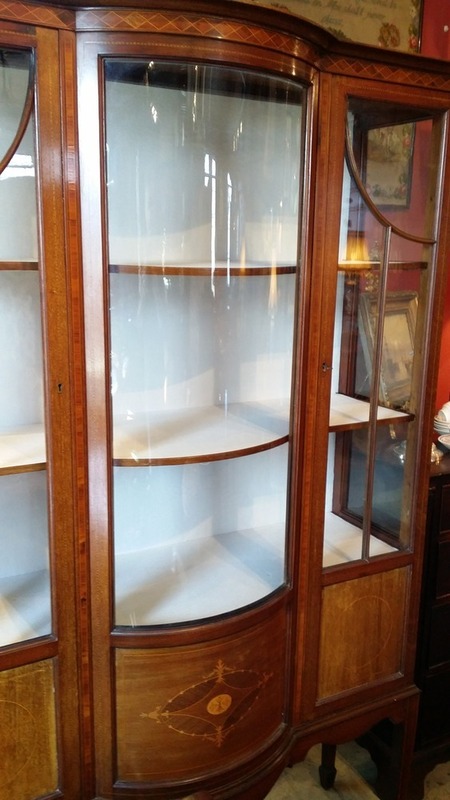 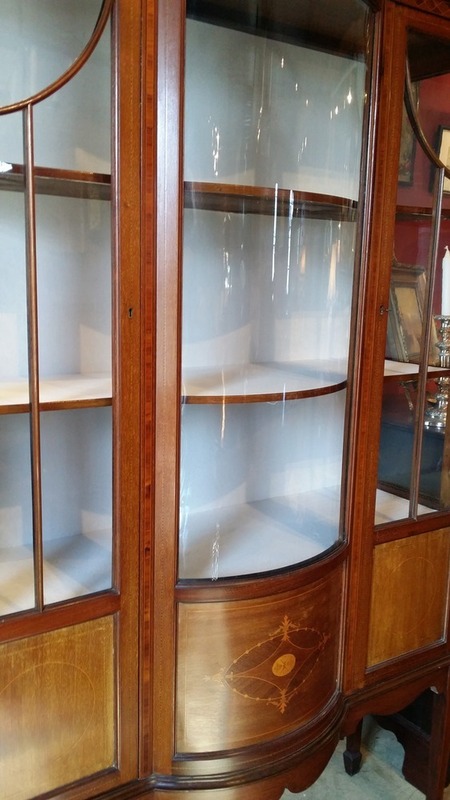 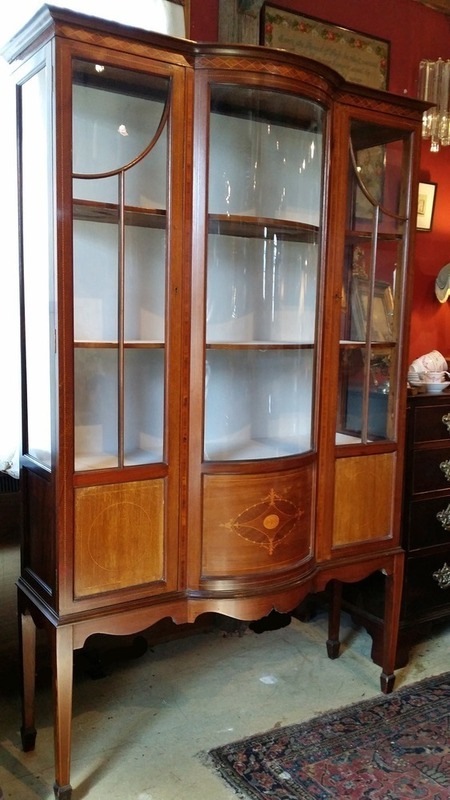 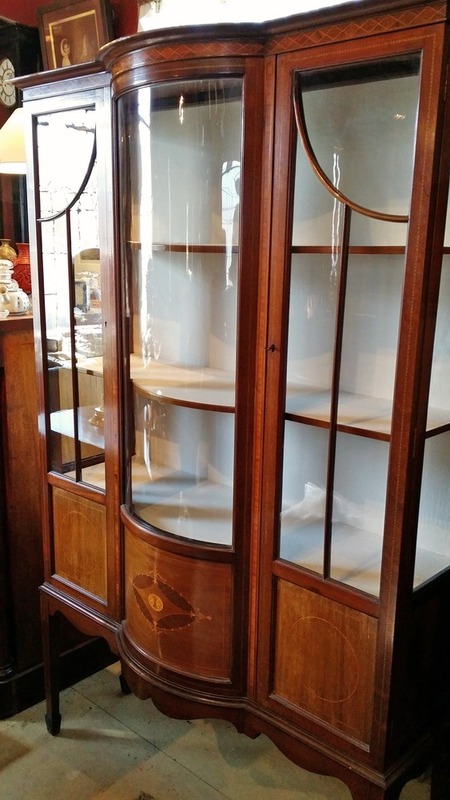 A good sized Edwardian mahogany display cabinet with bow fronted glass and applied inlay on a square tapered leg with a spade foot. 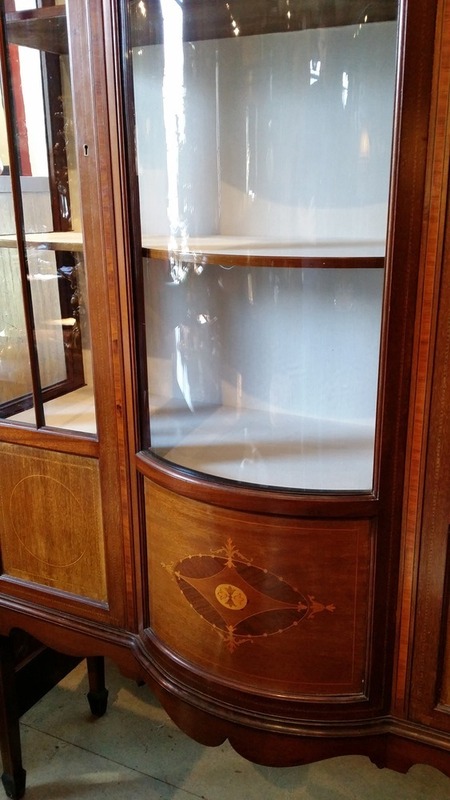 Shipping is not expensive! 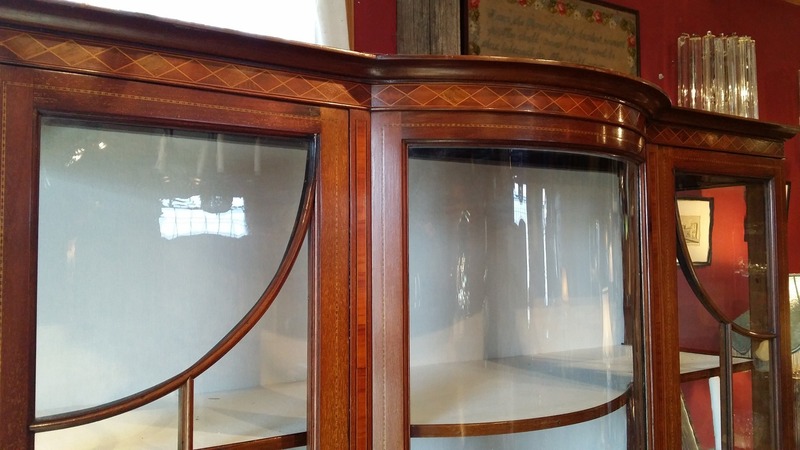 – Email for a Quote.